Gum disease, more than decay, is the primary cause of lost teeth. Since it can be completely painless in early and moderate stages, many people don’t know they have it until they begin to lose teeth. Symptoms include bleeding gums when you brush or floss and loose or shifting teeth. Thanks to extensive medical research, doctors and dentists are now aware that gum disease can contribute to stroke and heart disease. Since heart disease is usually fatal, it is clear that gum disease is a serious matter. If you’ve been told you need gum surgery, you will be glad to know that it’s possible to control gum disease with a variety of non-surgical methods. Gum surgery is the best treatment for advanced periodontal disease, and it’s usually covered by common insurance plans. When periodontal disease is in earlier stages, there are very effective NON-surgical procedures that, coupled with improved dental hygiene, can virtually halt the spread of the disease. This, too, is usually covered under most dental insurance plans. It might surprise you to learn that losing even a single tooth can cause the other teeth to shift and move around, which makes it difficult to chew and affects your ability to absorb nutrients from your food. Other negative results: your face will change shape, often looking “sunken,” aging you prematurely. Missing teeth also affect your speech. Difficulty chewing may cause you to favor softer foods and more carbohydrates, which can lead to weight gain. 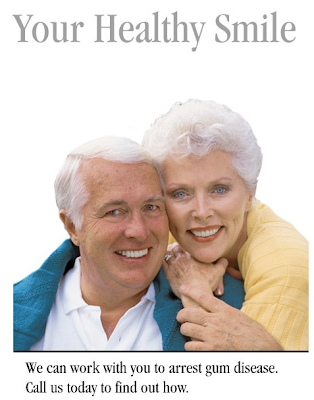 The best solution for missing teeth is dental implants. An implant can replace one tooth or many. They can be made to look so natural that even a dentist has to look hard to tell the difference. Ensure your healthiest smile! Give us a call today at (941) 359-2151.
possible to control gum disease with a variety of non-surgical methods.